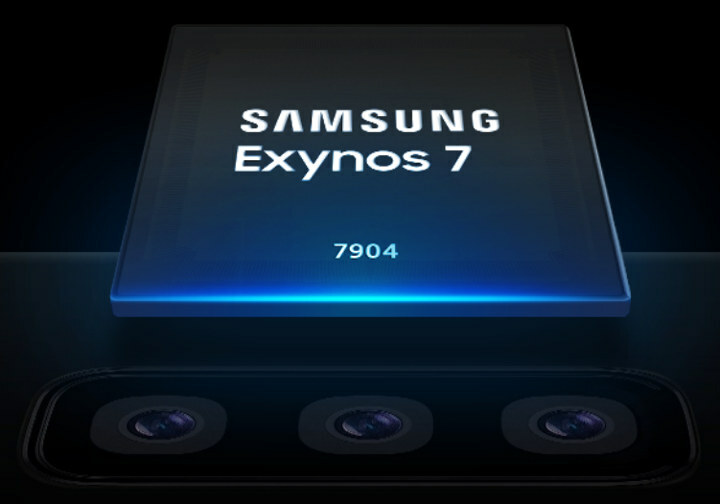 Samsung has just introduced Exynos 7 Series 7904 (aka Exynos 7904) processor designed to bring better photography to mid-range smartphones thanks to an image signal processor supports single-camera resolution of up to 32-megapixels and a triple-camera setup. With a multi-camera solution, user can take panoramic pictures of a beautiful scenery using wide angle camera or a closed up portrait with a bokeh effect using shallow depth of field. Furthermore, the Exynos 7904 offers diverse image processing technologies such as scene adaptive color control, video image stabilization, and multi-frame image processing for sharper image and better color accuracy. The processor also supports zero-shutter lag and phase-detection auto-focus to capture that special moment in an instant before it passes by. The press release also mentions the processor is already in mass-production and especially tailored to the Indian market. Who wants to bet that we never see a phone based off of this SoC in NA?